Jews Indigenous to the Middle East and North Africa launches joint effort to preserve histories, traditions of Mideast Jewish communities. 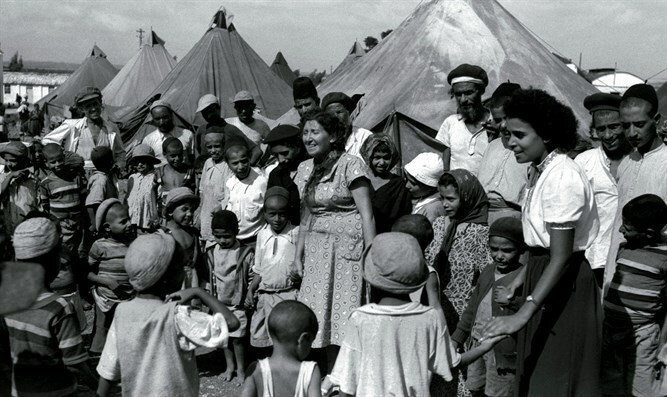 San Francisco Bay Area based non-profit organization, JIMENA (Jews Indigenous to the Middle East and North Africa) has announced a new partnership program with Israel’s Ministry of Social Equality (MSE), Beit Hatfutsot: The Museum of Jewish Peoplehood, and Ben Gurion University (BGU) to produce a comprehensive collection of Oral History testimonies of Jews from Arab countries and Iran. Beginning in 2010, JIMENA launched an Oral History Program in California to record and preserve the memories of Jews born in the Arab world and Iran. Inspired and guided by Steven Spielberg’s Shoah Foundation Institute, the project gives former Mizrahi and Sephardic refugees an opportunity to assert and preserve their personal histories and rich traditions in the countries their ancestors lived for over 2,500 years. JIMENA witnesses document their stories of positive memories as well as human rights abuses, displacement and integration in new societies. As an outgrowth of that Oral History Project, JIMENA and BGU launched a unique partnership in 2012 to ensure JIMENA’s significant collection of testimonies is shared with scholars and preserved in perpetuity. International Graduate Students at The Ben-Gurion Research Institute for the Study of Israel and Zionism diligently transcribed, cataloged and added JIMENA’s Oral History collection to The Ben Gurion Archives, where it now proudly resides. As part of Israel’s 2014 legislation to recognize and advance the history and heritage of Jews from Arab countries and Iran, in 2016 Israel’s Ministry of Social Equality allocated $2.6 million dollars to launch a robust national initiative to collect video recorded testimonies of Mizrahi and Sephardic Jews. JIMENA and Israel’s Ministry of Social Equality pledged resources and support to train BGU students to collect testimonies to add to Israel’s National Collection and JIMENA’s Oral History collection at Ben Gurion University. Part of the 2016 legislation stipulates that the history and culture of Jews from Arab countries and Iran must be more deeply and broadly integrated into Israel’s education system. As a result, Beit Hatfutsot, is currently working with the MSE’s National Project for Documentation of the Heritage of Jewish Communities in Arab Countries and Iran to develop a mobile application for Israeli students to collect the video recorded testimonies of Sephardic and Mizrahi Jews. Each testimony collected by students will be added to Israel’s National Collection, thus establishing one of the first large-scale national collections of testimonies of Jews from Arab countries and Iran.